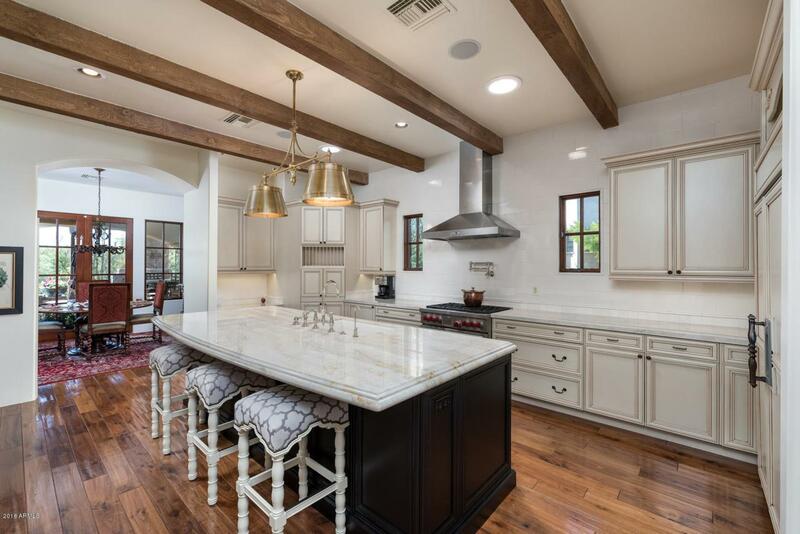 Finely appointed Tuscany home with touches of European charm, rustic beamed ceilings, great room hearth carved limestone, hand hewn walnut floors in all common areas, and newly freshened gourmet kitchen. 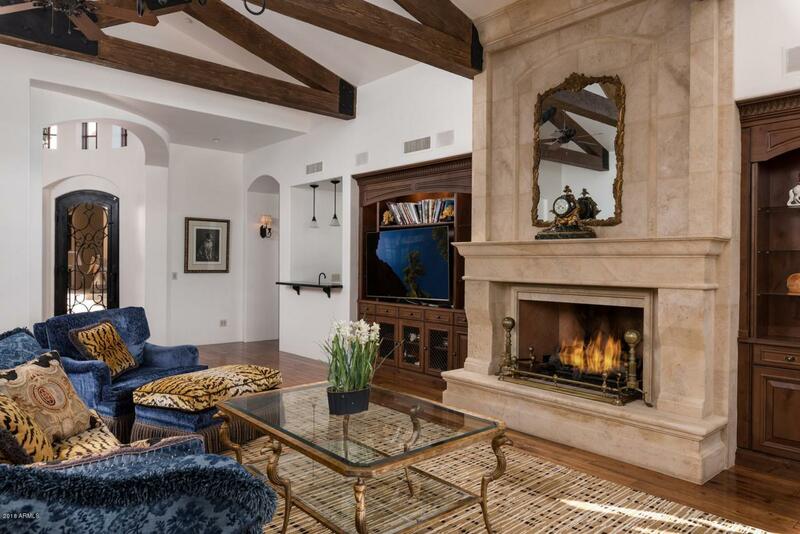 Great curb appeal and intimate entry courtyard becomes an outdoor living room with soaring fireplace, gardens & water fountain. An entertainers patio with sunset views includes pool, spa, built-in BBQ, cover dining room with stone fireplace and a covered morning patio with trellised vines. 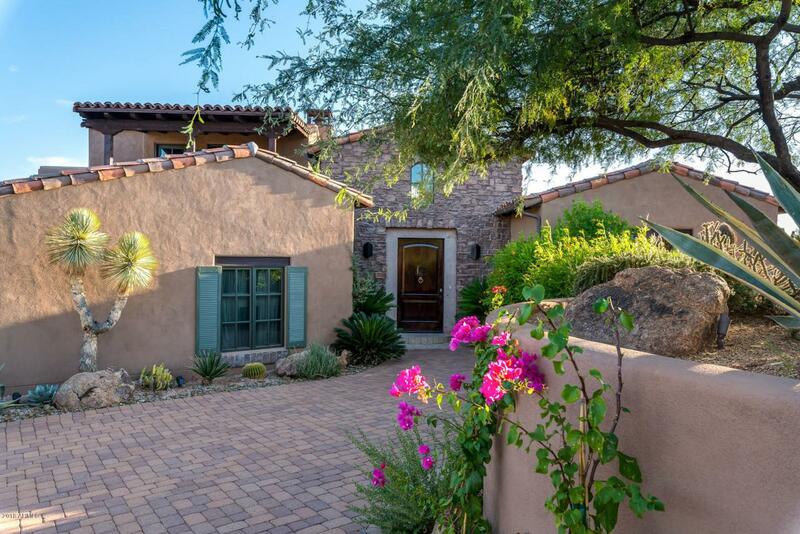 Home includes an upstairs casita and view patio of Apache Peak perfect setting for any guest. 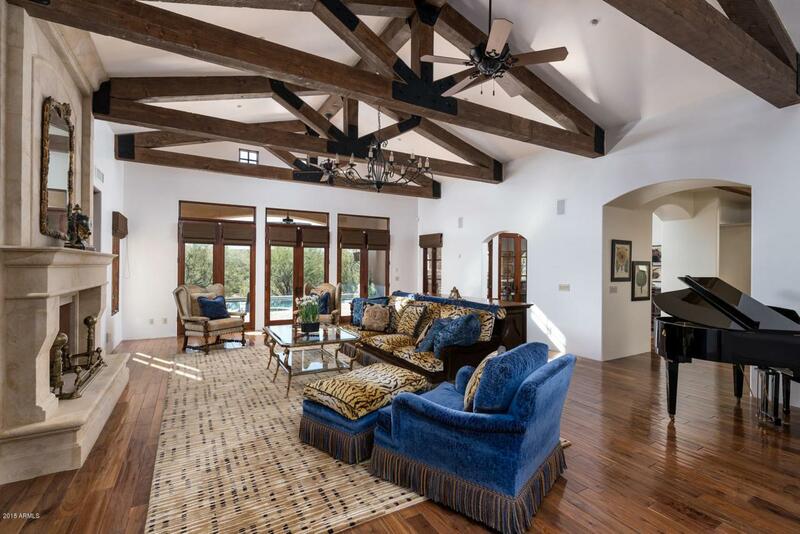 Located in Village of Rose Quartz; centrally located in the private guard gated Desert Mountain Club offering memberships for 6 golf Courses, 9 tennis courts, 15 miles of private hiking trails on 3000 acres.